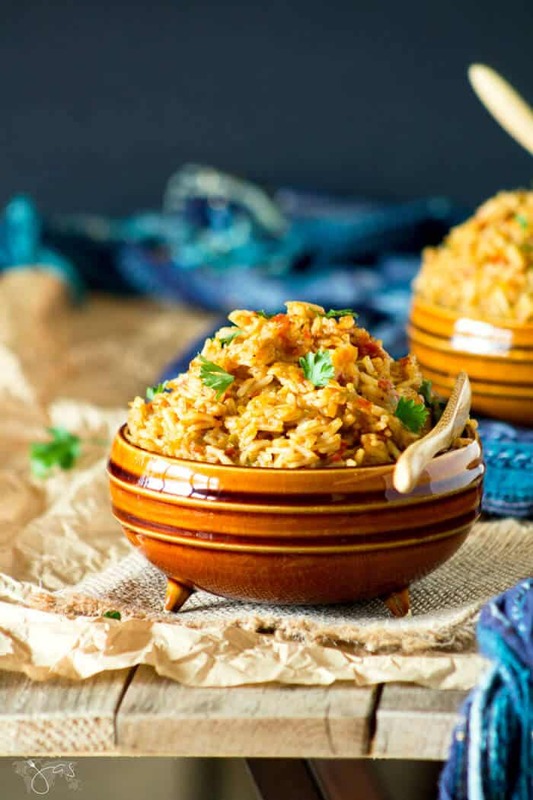 Spiced and cooked in flavorful tomato and pepper purée, Nigerian jollof rice is a well-loved, classic West African versatile side dish that the whole family loves. 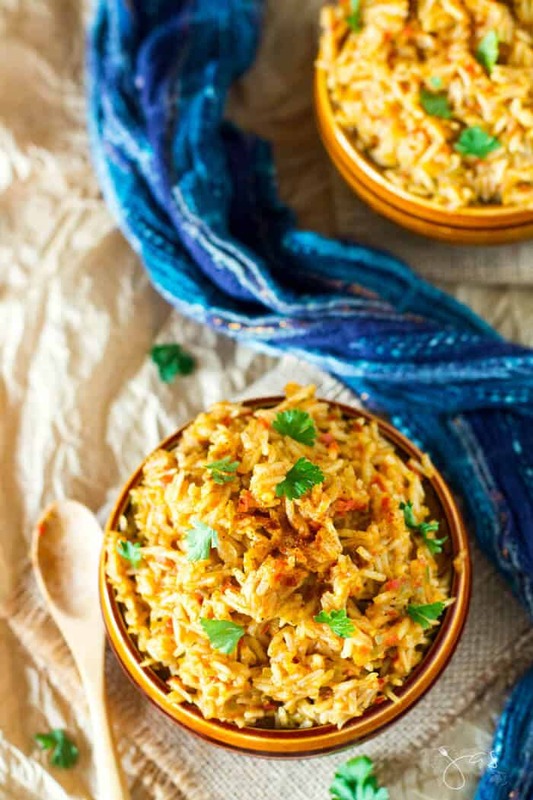 This yummy side dish easily becomes one-pot meal by adding chicken, similar to Bosnian-style one-pot chicken rice dinner. For a vegetarian version, add carrots, peas, and celery. Whichever way you make it, it provides a burst of flavor your whole family will love. Jollof rice goes perfectly with Nigerian suya kebabs, the recipe I made a few days ago, but it would complement any meat. It’s savory and satisfying. Puréed vegetables flavor the rice but are not visible, thus making it a kid-friendly dish. Just adjust the spices for heat level. 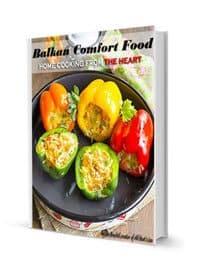 In my quest to simplify recipes from around the world, I discovered that is quite easy cooking the globe. The base for all dishes is spices and herbs. Stock up on it and explore the culinary world from your own kitchen. It really is as simple as that. 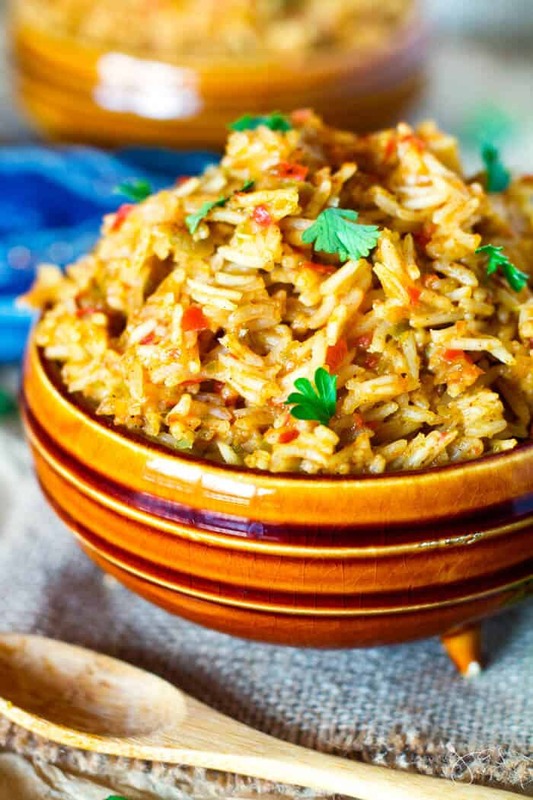 You can have chicken and rice every day of the week but use different spices and you’ll have a new dish each time. Trust me on that. Compare the taste of this jollof and my djuvec rice as a proof. For once, forget peanut butter and jelly and surrender to tongue-tingling flavors and explore cuisines diverse in variety and taste. Submerge fully into magical spices and titillating food experience. You will never look at food the same way. Don’t know where to begin with new spices? Would a spice guide be helpful? Something like Spices 101? How about spices in small batches so you don’t have to buy a big jar of something you’ll only use once in a while? I’m here to help you simplify your time in the kitchen and still have an amazing cultural experience. Let me know! 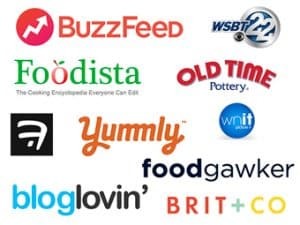 You can quickly get familiar with popular spices by cuisine by downloading this list I shared in my newsletter (if you’re not subscribed yet). Substitute cayenne pepper with African hot ground chili pepper. Add 1/2 small habanero or scotch bonnet pepper for some serious heat. Purée the tomatoes, onions, and pepper in a food processor. Heat the oil in a large saucepan over medium heat. Add spices and garlic and sauté until fragrant, about 30 seconds. Stir in the rice, puréed vegetables, water, and salt. Bring the mixture to a boil. Reduce the heat to low; cover the pot and cook until rice is al dente, about 20-30 minutes (don’t overcook). If the rice seems a little dry, add ¼ cup water and cover, which will allow it to steam through. Garnish the rice with cilantro or parsley before serving. 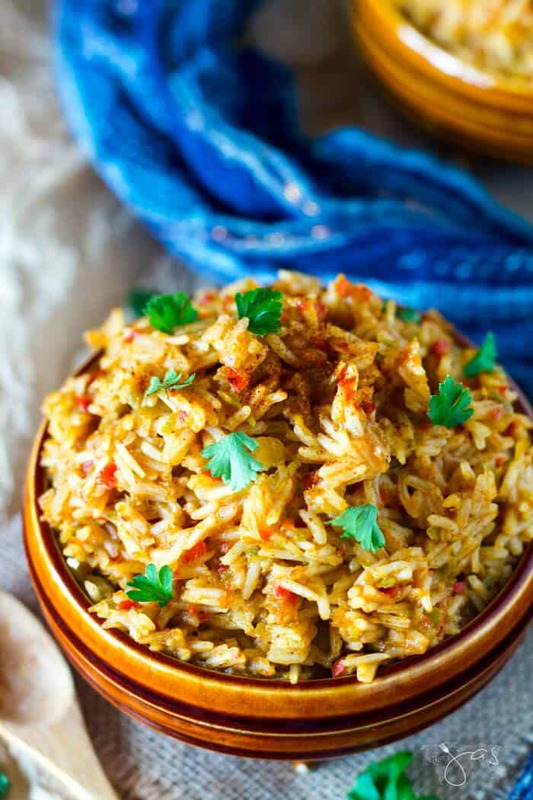 Spiced and cooked in flavorful tomato and pepper purée, Nigerian jollof rice is a well-loved, classic West African versatile side dish the whole family loves. Reduce the heat to low; cover the pot and cook until rice is al dente, about 20-30 minutes (don't overcook). If the rice seems a little dry, add ¼ cup water and cover, which will allow it to steam through. Featured on: Eclectic Red Barn, The Cottage Market, and Fluster Buster. Loving this rice dish Jas. So simple but so full of flavor. Must try your delicious Beef Kebabs to go with it. Wishing you a super week! Thank you much, Bobbi! It exceeded my expectations 🙂 Have a happy Easter! Thank you so much, Marissa!You made my day 😀 Yes, no cayenne pepper for the kiddos and smoked paprika is not spicy, just adds flavor but it’s a personal preference. Hope your Easter was great! This sounds delicious, but your recipes always do. Rice is a favorite around our home so this is going to be enjoyable. Thank you. 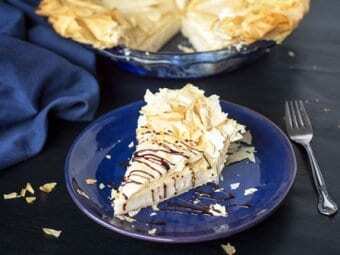 This looks delightful, and I’ll have to add it to my list of things to try. Thanks for sharing on To Grandma’s House We Go! I love trying foods that we don’t have every day. Looks delicious! Thanks for sharing with SYC. Me too, Jann! I always preach: try new foods! Just ask my newsletter subscribers, lol. This looks and sounds so flavourful, Jas! Your photos have my mouth watering. Thanks so much for sharing this with us at Fiesta Friday this week. I hope you have a wonderful weekend! Pinned! This will be a great side for this summer! Update: with some kid friendly changes, this was amazing. 5 stars! This looks delicious, Jas! It would be lovely either as a stand alone dish or as a side with so many things (including your lovely kebabs!). Pinning and sharing. Thank you so much for being a part of the Hearth and Soul Link Party! Hope to see you again this week. Have a lovely week ahead! 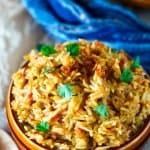 This rice looks fantastic! Hope you are having a great week and thanks so much for sharing your awesome post with us at Full Plate Thursday! YUM!!! This looks delicious. Pinned.